New Mini Case Studies are published in each edition of Food Entreprenuer Magazine. Sign up to receive a fresh copy right to your inbox. 2. How do you define success? Are you “there” yet? Yes, in that our company is profitable but, no, in that our name and brand is far from being recognized and we don’t yet have national distribution. 3. How long did it take to be successful? What challenges did your face in establishing your company? Every challenge under the sun in that I was a science writer before starting Susie’s Smart Cookie and had no business experience whatsoever. But I am a fairly good cook, and trusted my taste buds; and, of course, I knew the science behind Omega-3s. 4. How long did your initial roll-out for the above product line take (months or years?) and how much did it cost? ($5,000? $20,000?) What kind of funding was available to you? I started baking and distributing my products almost immediately and adapted the recipes and packaging as we went along. Startup costs were about $5000 for which I used my personal funds. 5. Please share your insights and advice for new to industry companies. What decisions influenced your choices? 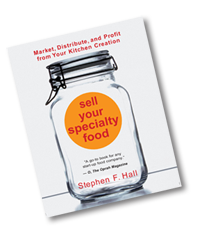 Before launching my business, I took the class at the Fancy Food Show: Understanding the Business of Specialty Foods. It was extremely helpful and I decided to become a member and take advantage of the rest of what the organization had to offer. The show was exciting and rewarding in terms of long-term customers. 6. How would you define your “vision”? Where do you want to be in 5 or 10 years? 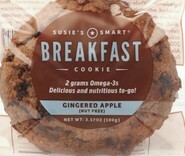 Susie’s Smart Breakfast Cookies are available in a majority of coffee stores and other grab and go locations. Visit us at the June 2014 Summer Fancy Food Show at Booth 1480. See you there! !